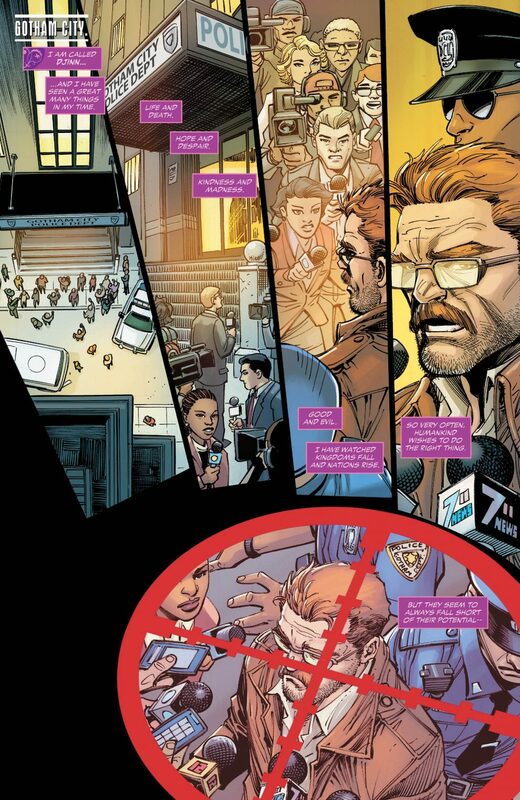 Jim Gordon assassinated?! Roundhouse alive?! 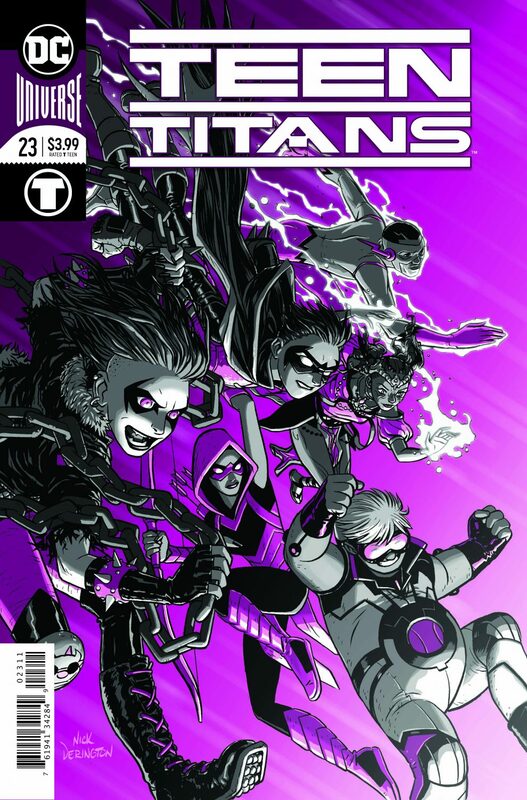 Teen Titans #23 was narrated by Djinn, one of the newest, most mysterious, and most powerful members of the team. 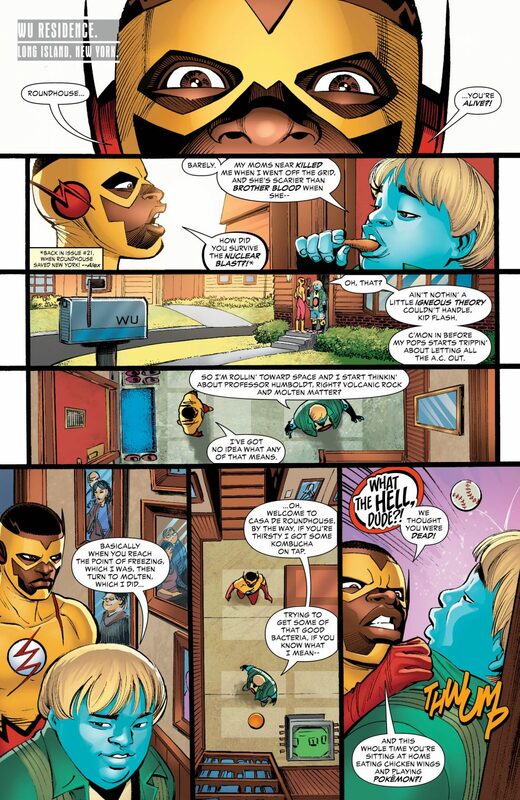 Robin and Djinn seem to have developed romantic feelings toward each other. Their teammates became more aware of the romantic tension, which led to some interesting exchanges between characters. Once feared dead, Roundhouse is very much alive. 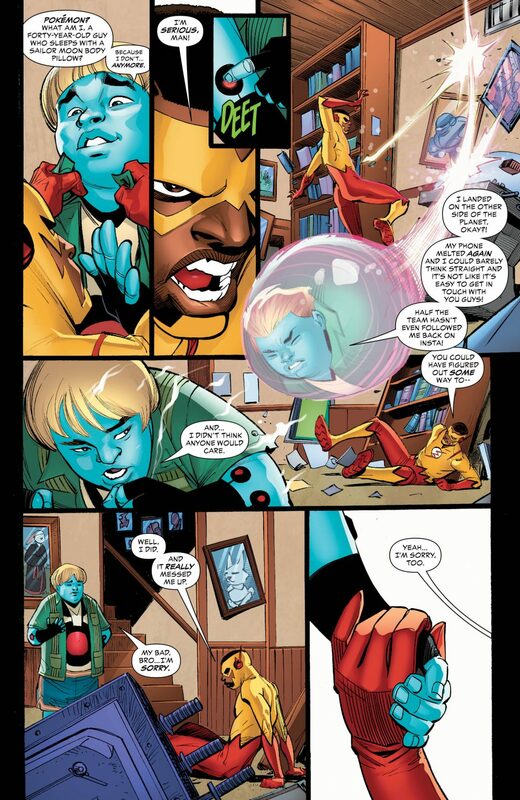 However, like many teenagers, Roundhouse is at the mercy of… his parents! This was a humorous reminder of the ages of these heroes. 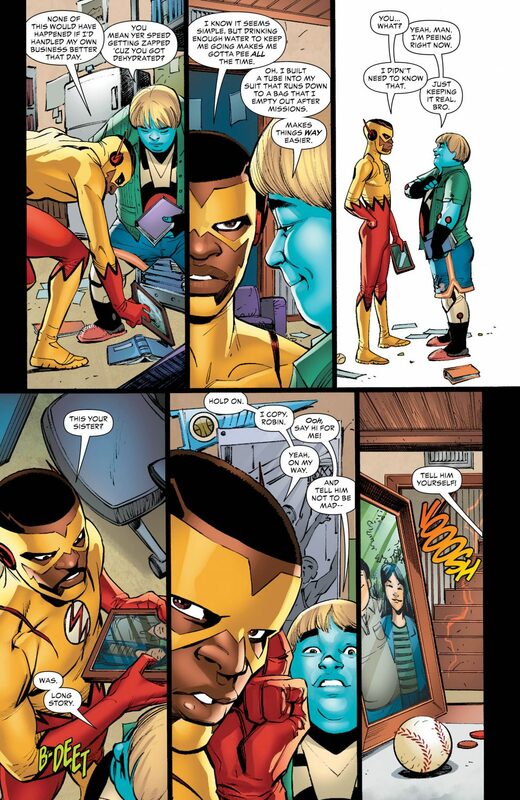 It also gave the author a chance to divulge the not-so-quaint environments in which these heroes grew up. 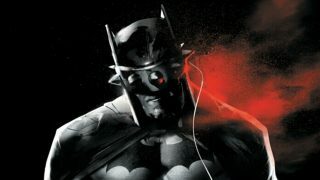 Adam Glass showed off his narrative prowess with solid dialogue, several poignant moments, and well-timed humor throughout the issue. 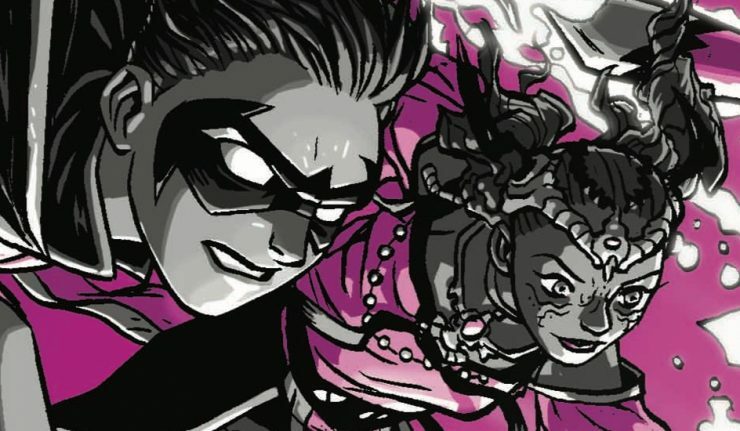 Ever elusive, Lady Vic was the primary villain in Teen Titans #23. However, The Other made their presence known in not-so-subtle ways. Under Glass’ pen, The Other is swiftly becoming an enemy to be reckoned with. I love how he’s building them up to be an unpredictable and nearly unstoppable force. 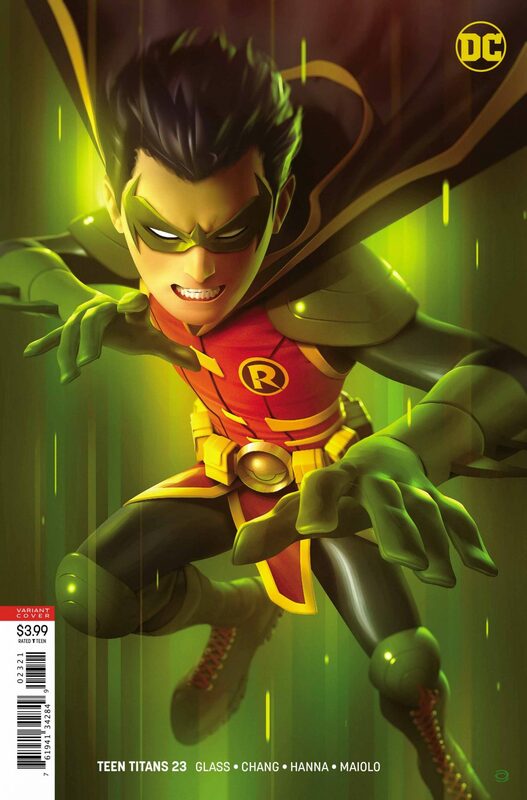 The art was solid and the colors brilliant. Shading and faded colors yielded depth through setting. Several panels and splash pages were truly something to behold. Brilliant colors leaped off of the page. 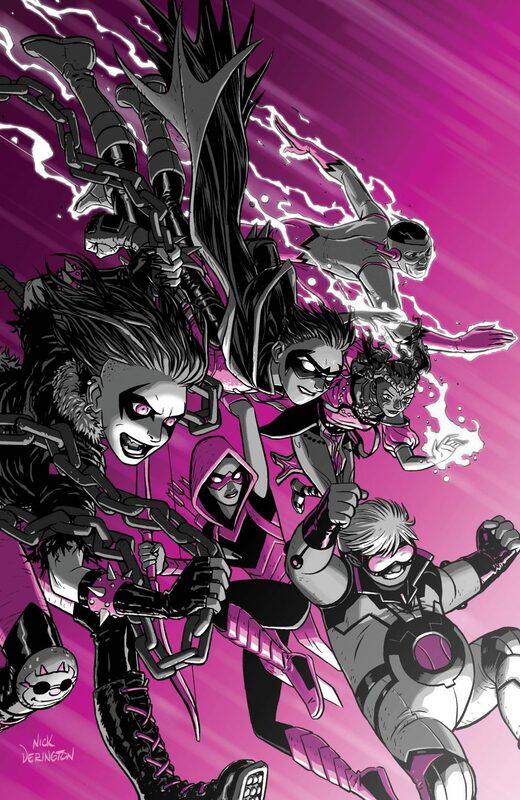 Teen Titans #23 was a solid issue that moved Glass’ narrative forward. Also, it served to add a terrifying element of reckless abandon to The Other. Furthermore, tension continued to build between teammates. Different styles, levels of experience, and expertise brought the inherent conflict to the fore. Romantic relationships and the jealous feelings they induce add to the flavor of this newly minted team. 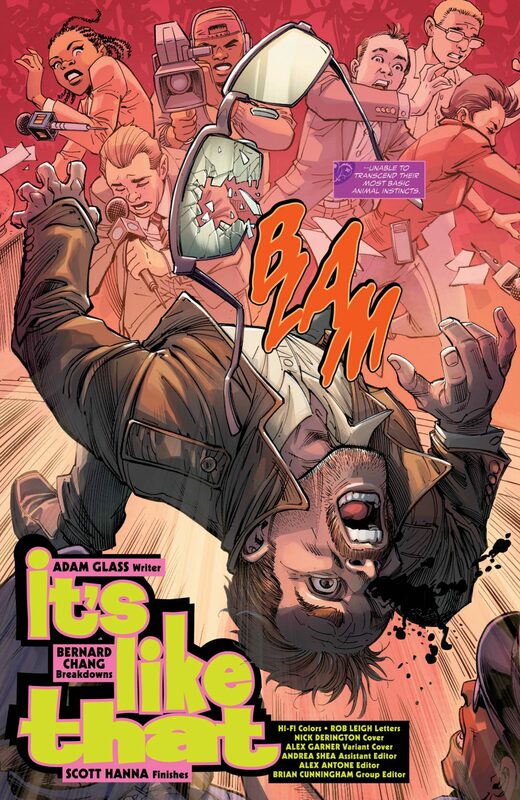 Author, Adam Glass has left plenty of room to pursue multiple angles and directions in subsequent issues. Consequently, I am anxious to see how the storyline develops!